Founded in 1938, in its first few decades Detlev Louis Motorradvertriebs GmbH specialised in the import of motorcycles. There is hardly a brand that has not featured in our range at one time or another. As an active, international racing driver, founder Detlev Louis optimised his bikes and then offered these to his customers. The first mail-order catalogue was issued back in 1965 and, since 1981, the network of stores has been continuously expanded and is still growing. 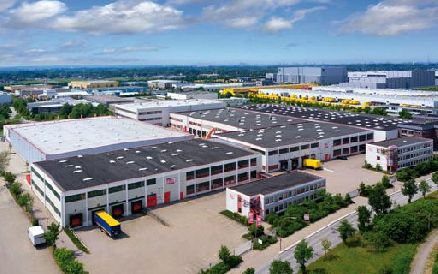 Today's headquarters, with its highly automated distribution logistics, has undergone several expansions since the company's relocation there in 1991. Detlev Louis Motorrad-Vertriebsgesellschaft mbH is now a part of Berkshire Hathaway Inc. and is Europe's no. 1 for motorcycling and leisure.